Amongst all the food options the sea has to offer, Prawns are my all time favourites. 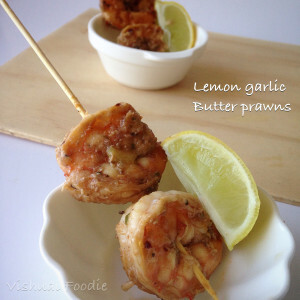 I would salivate when I saw prawns – in any form, tandoori, butter garlic, crisp fried, bacon wrapped. You name it. And then I got married, and M suffers from crustacean related allergies which means he cannot eat prawns, lobsters and crabs. I wish the oceans would part and take me into its fold. I know I am over reacting but it gets frustrating when i cant order prawns outside as he cant share them with me. Then I had kids and they adore prawns. The sun seems to shine now. Finally I can make prawns for more than 1 person at home. 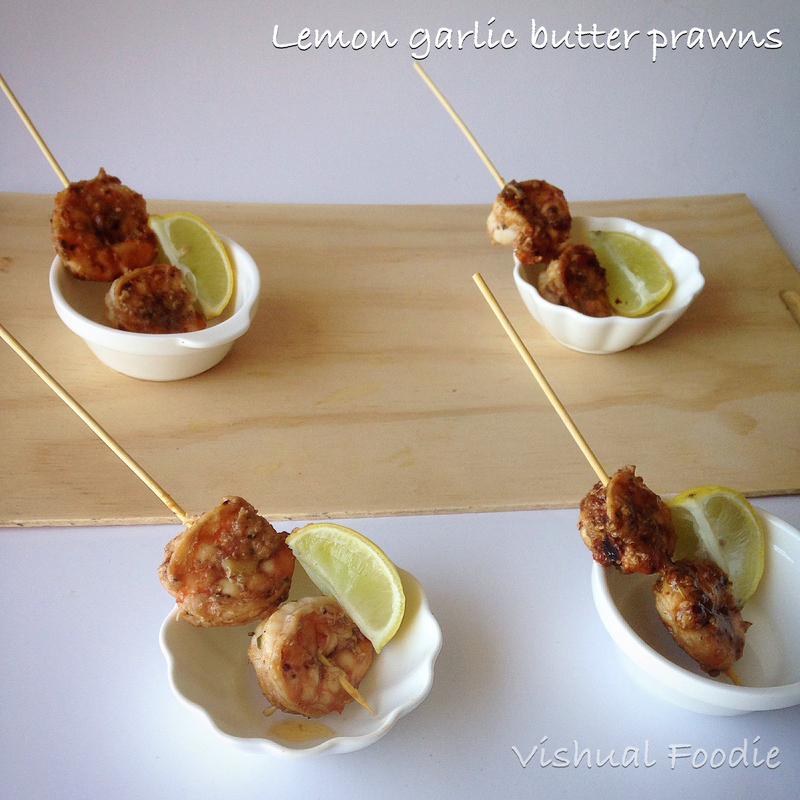 This prawn preparation is so super easy, quick and super yum too. 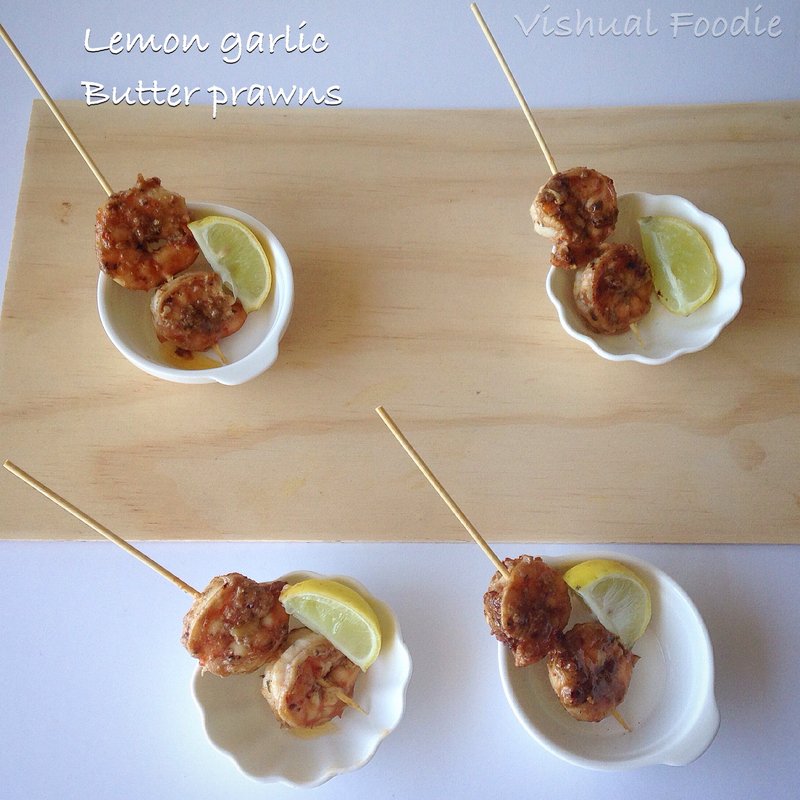 1) Clean and devein the prawns. Leave the tails on if u prefer. 3) Marinate the prawns with all ingredients except lemon and set aside covered for 1 hours. 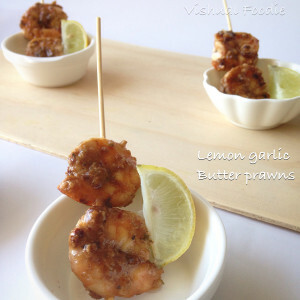 4) Then pan fry the prawns in little butter. Adjust seasoning.